Floating homes on the Willamette River, which runs south-to-north through Portland before emptying into the Columbia River. 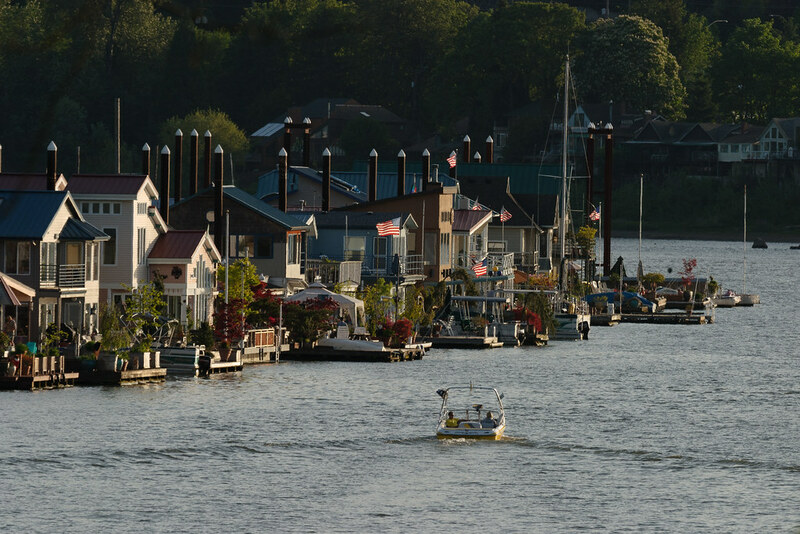 This entry was posted in Street & Travel and tagged boat, house, Oregon, Portland, Willamette River. Bookmark the permalink.